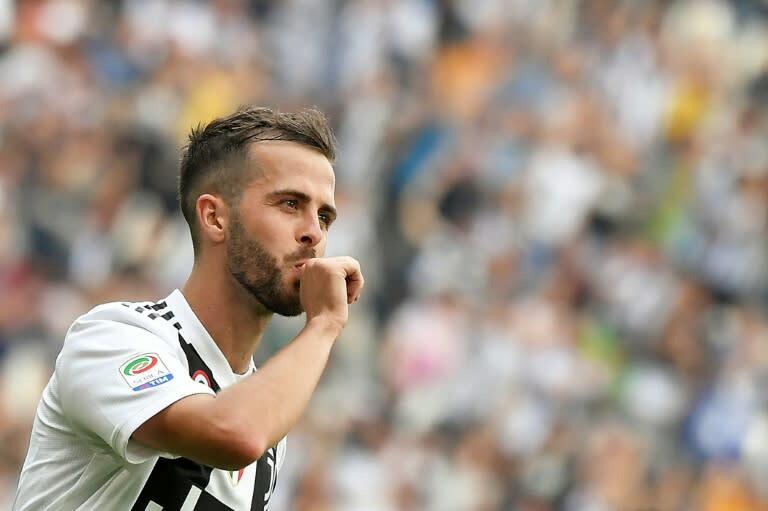 Bosnian midfielder Miralem Pjanic has signed a contract extension to keep him at Juventus until 2023, the Italian champions announced on Tuesday. The 28-year-old has won back-to-back Serie A and Italian Cup doubles since joining the Bianconeri from Roma in 2016. Known as a set-piece specialist, Pjanic has scored 15 league goals directly from free-kicks since arriving in Italy in 2011. "I'm very happy to extend my contract until 2023 with this amazing club," Pjanic, who has scored 12 goals in 79 international appearances for Bosnia and Herzegovina, wrote on Twitter. Juve kicked off their Serie A title defence last Saturday with a dramatic 3-2 victory at Chievo as Portuguese great Cristiano Ronaldo made his competitive debut after joining from Real Madrid for 100 million euros ($114.5 million) last month.